Namco Announces PlayStation Vita Launch Games, But Will There Be A New Ridge Racer? Come on, now. You know that's a silly question. Now that Sony officially announced the February 22 U.S. and European launch date for PlayStation Vita, third parties can officially confirm launch games. You know, like Namco Bandai. The Japanese based publisher plans to support Vita day one with three different titles. There will be a new Ridge Racer, of course, along with another entry in the celebrated Katamari franchise, titled, Touch My Katamari, so named because users can play via the system's touch screen, in addition to its analog sticks. Finally, the more obscure Shinobido 2: Revenge of Zen will hit shelves alongside the handheld, delivering ninja action on the go. 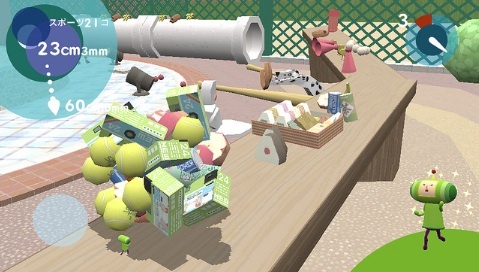 We've grown tired of Katamari, and Shinobido's quality is a real question mark. As for Ridge Racer, all systems are go on that one.